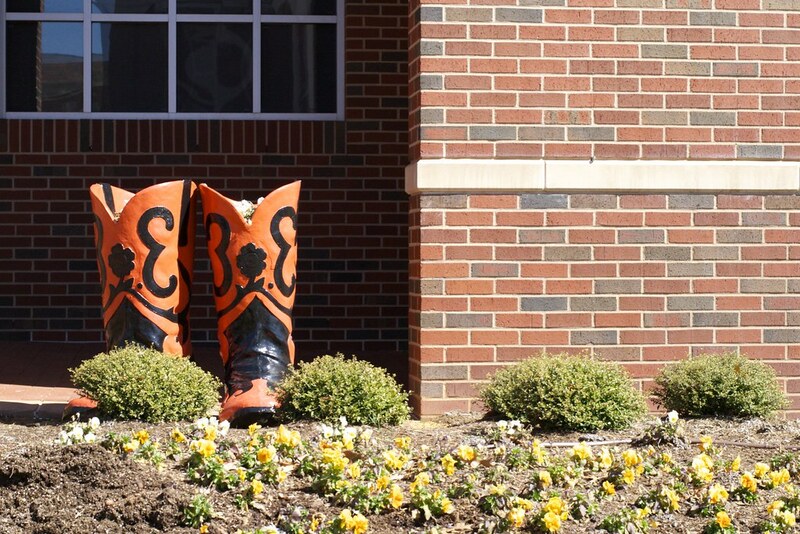 A pair of boots outside the Conoco Philips Alumni Center on the Oklahoma State University campus. I wish I could have adjusted my perspective a bit and got the bricks on the right to be uniformly horizontal, but such is life. I may go back and re-shoot it sometime, but for now I’m relatively satisfied.